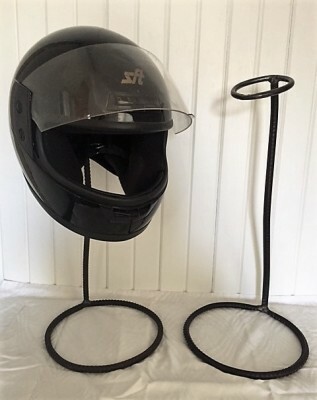 Keep your motorcycle helmet safe with an attractive, custom designed wrought iron helmet stand or mount. Support, display and air it out! 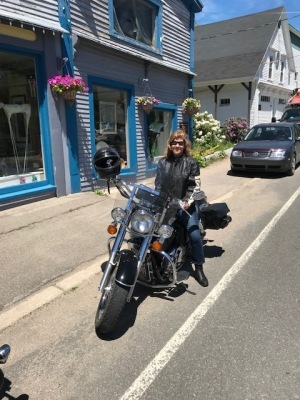 We live to ride in Nova Scotia, and we know the importance of keeping our riding gear safe. 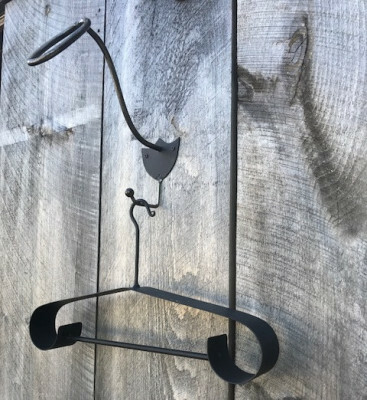 We pay a lot for our helmets and jackets, so why not protect, display and air them out with hand-forged wrought iron products designed just to do that! They also make great gifts for the rider that has everything! Take a look at the products below. Message or call to order. 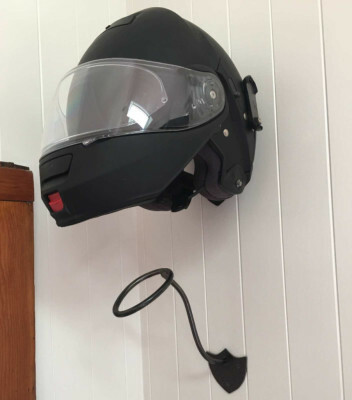 Get your helmet off the floor with the Shield Mount or the Lariat Stand; protect, display and air it out! The Shield Mount has a re-puposed back plate; they look great even when not in use! Comes in black or natural. 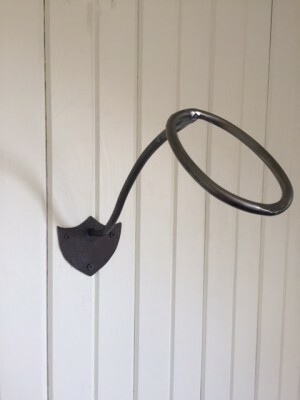 The Lariat Stand is made of rebar and comes with a steel ring or horseshoe: your choice! The Lifetime Hanger and Lifetime Stand are heavy duty for your textile or leather jacket/suit. 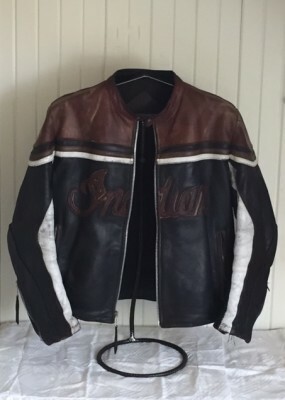 We can make it to custom fit your jacket with one measurement. The hanger is convenient with the Shield Mount with Hook! No more pointy shoulders!